Taking place from 12th - 13th, September 2019, the PRCA Leadership Academy is aimed at PR and communications practitioners who are preparing to make their next step into leadership roles. They will learn the essential skills of leadership, budget management, crisis management, and much more. The two day academy will feature motivational speakers, workshops training sessions, a live crisis simulation and one-to-one coaching sessions. The Academy will feature a motivational speech from guest speaker Margaret Alphonsi MBE, England Rugby World Cup Winner. Before announcing her international retirement in 2014, she represented her country an impressive 74 times, scored 28 tries, and helped England win a record breaking seven consecutive Six Nations crowns. She was a crucial member of the team that won the 2014 Rugby World Cup for the first time in 20 years and was part of the team that was crowned the BBC’s Sports Personality Team of the Year. Maggie will give her own personal insights about leadership, transferring skills, the psychology of winning, pressure management, and more. In the live crisis simulation interactive training session, you will experience what it’s like to manage a live crisis as it unfolds on social and digital media. Using Polpeo, an interactive crisis simulation platform, you will work in teams to manage your company’s reputation as a crisis hits in real-time. The session is designed to test and improve your crisis handling skills, discuss approaches with your peers and with the Polpeo trainers, and provoke discussion about how to create crisis plans that are robust enough to withhold an attack during a crisis. Also,every delegate will have a 30 minute one-to-one coaching session to reinforce learning and discuss an action plan. Feedback is one of the cheapest and most powerful management tools we have on tap. Yet it's underused and often poorly handled. Even experienced communicators are in danger of missing a trick, delivering feedback that fails to produce positive change. Effective feedback gets people on track, develops great careers and helps to shape a culture that reinforces and rewards high performers. Feedback can also be highly motivating and energising. It has strong links to employee engagement and productivity. This highly interactive session will build your skills and confidence in giving feedback that gets results and creates the change you want. You'll learn the absolute no-nos of feedback as well as understanding how to shape a culture that actively welcomes feedback at all levels. You'll be able to show others how to deliver great feedback and set the stage for building better management communication at all levels. Creativity is one of the three key factors clients cite when they describe how they choose agencies. New ideas are the lifeblood of successful PR programmes – the ‘magic’ behind the maths. There are 86,000 PR people in the UK today, all doing their best to come up with concepts which are fresh, original, different, attractive, engaging and strong enough to change stakeholders’ perceptions. With 4,000 to 5,000 commercial messages hitting our eyes and ears every single day it’s a challenge to achieve memorable impact. Most of these messages float away like electronic confetti. But great PR ideas deliver truly spectacular results. What makes the difference? How can we produce a flow of outstanding creative ideas for our clients and employers - regularly, on demand? This workshop sets out to define what great creative ideas are, using examples and the thoughts of creative maestros from advertising and marketing communications. It describes the discoveries of behavioural economics and neuroscience to show that we are all capable of thinking up terrific creative ideas, not just occasionally but to order. It then offers a series of tried and tested techniques for generating ideas at an individual level and when we are working in teams. 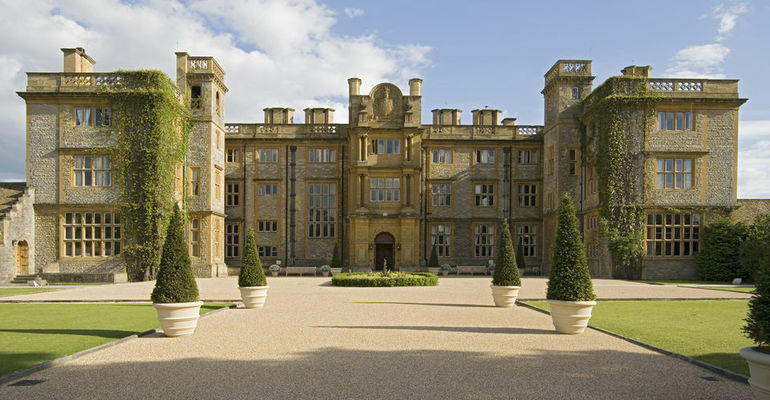 The price is member: £1095.00+VAT, non-member: £1295+VAT which includes all training sessions, meetings, and presentations, one night's stay at Eynsham Hall, a two-course lunch on both days, breakfast on day two, and a three-course evening meal on day one.